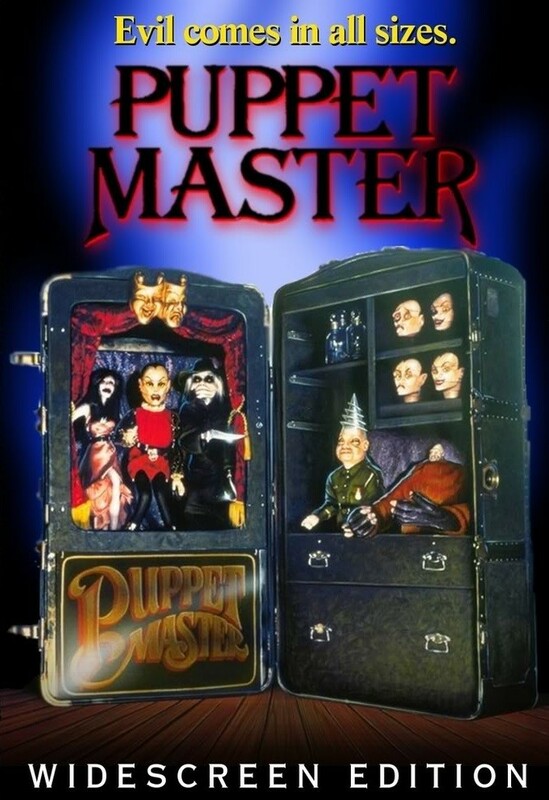 The Rockport Film Review: Evil Doll Movies #3 - "Puppet Master"
Evil Doll Movies #3 - "Puppet Master"
After the mild success of Stuart Gordon’s “Dolls”, producer Charles Band decided to fund the “Puppet Master” franchise. Currently, there are nine films in this campy and purposeless franchise. The first of these low budget films was released in 1989 to minimal success. Although it does have enough of a cult following to spawn so many sequels, this is one cult that hasn’t brainwashed me into following. The movie starts at the Bodega Bay Inn in 1939. An old puppet maker who has the ability to bring his creations to life is being hunted down by two guys in sunglasses and trench coats. After hiding the dolls in the walls (hey that rhymes) he kills himself. There is this long puppet POV sequence of him going through the hotel and for some bizarre reason, nobody seems to notice him. This is really the least of the movies many, many flaws. Ancient Egyptian spells, witchcraft, and telepathy fill in the so-called plot. It seems to go for more of the campy B movie horror than for real terror and suspense. The puppets themselves each have there own distinct look and personalities, which is probably the films only good point. The animation of the puppets is also very strong. The human actors should have followed the puppets lead. The film looks very 80’s in the clothes and hairstyles, but good character development and story is never out of date. This movie is what it is and has a very select audience. Watch out for the "PROWLER"!